Girls!! this is a time to enjoy the summer with the amazing collection of Lala vintage lawn dresses 2015. 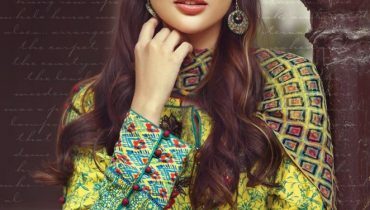 This collection is consisting of beautiful lawn dresses in lovely prints. The embroidery of these dresses make them more eligible and stylish. All of the dresses are looking simple, elegant yet stylish. Let’s check out these Lala vintage lawn dresses 2015 here below. Lala Textiles is one in the most leading and demanding fashion brand. Lala Textiles has been working since very past years ago. Lala is the fashion textile mill who has launched so many collection. 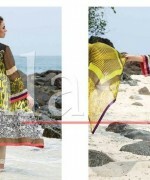 Lala Textiles has launched so many collection and gained a good response. Now Lala Textiles has revealed its beautiful vintage collection. Lala vintage lawn dresses 2015 have revealed. This collection is consisting of beautiful lawn dresses. Total 6 to 7 prints are ad din this collection in two to three colros way. Lala vintage lawn dresses 2015 are attractive and colorful. These dresses are perfect for young girls to mature women. All of the dresses are adorn with lovely colors. Green, blue, ferozi, pink, white, black and so many more.